Eric Chu is writing "My favorite kitchen tool"
It’s just wide enough to use like a spatula for flipping things. Its edge is thin and tapered so scooping food out of the pan is very easy. Its bowl is large—perfect for basting and serving. 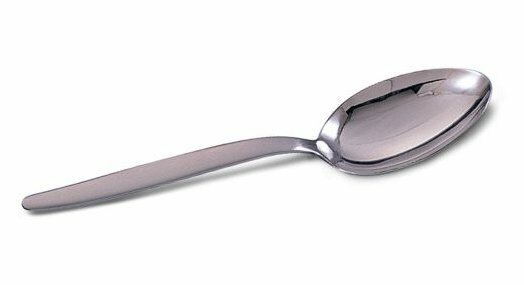 The handle is well-proportioned, stouter than you expect for a spoon this size. It’s not too long, so it’s easy to control and comfortable in my hand. It’s solid, but not too heavy. After years of use it’s still shiny as the first day I bought it, and I love it to death. If you’d like, buy one from JB Prince.